When interest payments on debt reaches the point where there’s no way to keep up with daily living expenses, let alone pay off existing debt, filing for personal bankruptcy provides a way to get a fresh start. This fresh start is not without its challenges, especially in terms of needing to repair your credit status as quickly as possible. So anyone considering this option may also want to look into alternatives to bankruptcy. The bankruptcy process follows a uniform set of laws known as the Title 11-Bankruptcy Code put in place by the federal government. The different types of bankruptcy allowed – chapters 7, 11, 12 and 13- correspond with the chapter names that make the Bankruptcy Code laws. Federal laws set the standard for bankruptcy procedures in each state, though each local court may instate additional requirements within its jurisdiction. Among the four different types of bankruptcy, only chapter 7 and chapter 13 apply for personal bankruptcies. The overall process can vary depending on the type of bankruptcy involved. Chapter 7 filings allow individuals to liquidate their assets and have any debts listed cancelled. Chapter 13 allows a person to set up a payment schedule through the court that’s designed to pay off any debts listed on the bankruptcy. With chapter 7, actual time before a courtroom judge is short with most of the process handled by the court trustee. In total, the entire process can take anywhere from two to four months before the case is discharged and debts are cancelled. With chapter 13, bankruptcy discharges don’t occur until the debtor has fulfilled the terms of their payment schedule with the court. This can take anywhere from three to five years. Once a personal bankruptcy goes through, a person has certain rights under the law which provides ongoing protections against creditors. In effect, a bankruptcy releases you from personal liability for all discharged debts. Immediately after a bankruptcy discharge, the court trustee sends copies of the discharge to each creditor, the federal trustee, the debtor and any lawyers involved. The discharge specifically prohibits all creditors from attempting to collect on their debts. Creditors who violate the ruling are in contempt of court and subject to penalties or fines. The relief that comes when all debts are cancelled may be well worth the process, though a person’s ability to get credit in the near future is often severely limited. Bankruptcies show up on a person’s credit record anywhere from seven to 10 years depending on the credit reporting agency. This means a prior bankruptcy can lessen your chances of getting approved for credit anytime a lender, credit card company or landlord looks into your credit record. On the other hand, having unpaid debts, defaults, and repossessions come up on a credit check can cause problems of its own in terms of having to account for past debts when dealing with potential lenders. Ultimately, the decision to file bankruptcy should not be taken lightly, especially if you know you will need some form of credit in the near future. Regardless of a person’s financial situation, it’s always a good idea to consider alternatives to bankruptcy even when filing bankruptcy seems like the only way out. In most cases, it will be necessary to repair your credit after a bankruptcy filing so it only makes sense to see if a credit repair option can help before entering the bankruptcy process. Fortunately, there are some alternatives to bankruptcy available. 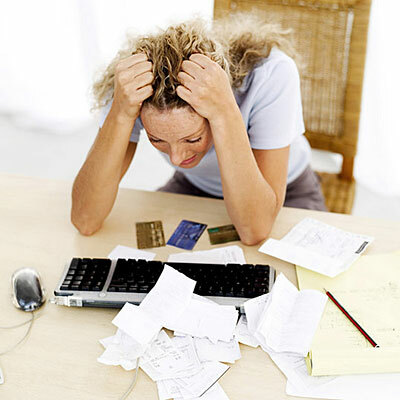 Two options you may want to consider are credit counseling and debt settlement. Credit counseling involves making one lump sum monthly payment to a credit counseling agency. These agencies can sometimes get the interest rate charges on debts reduced which helps reduce the total amount owed and make monthly payments easier to handle. With debt settlement programs, agency representatives try to consolidate existing debt by negotiating with creditors to reduce the overall amount due on your debts. These agencies also receive monthly payments which are used to pay down existing balances with creditors.